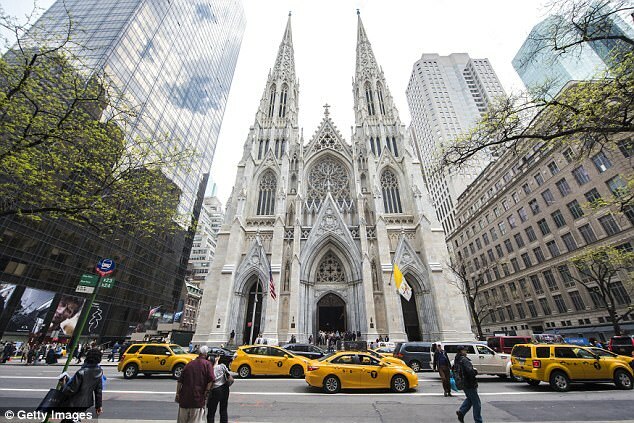 Holiday cheer was put on hold while people angrily looked over an artist's painting at St. Patrick's Cathedral on Christmas Eve that they've deemed 'sacrilegious'. 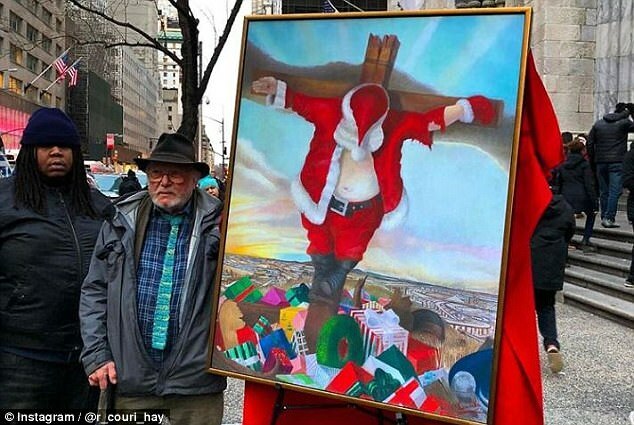 Robert Cenedella took his painting - depicting Santa Claus hanging from a cross - to the Manhattan,New York, cathedral to the dismay of those looking to indulge their Christmas spirit. 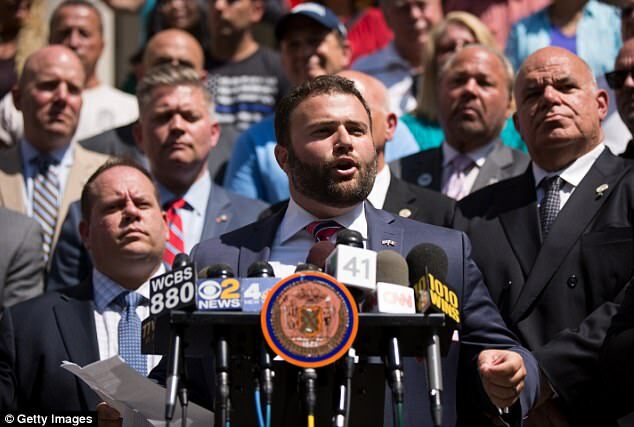 'You have to be a real piece of crap to try to ruin Christmas for children and families coming out of Mass,' said Councilman Joe Borelli to the New York Post. 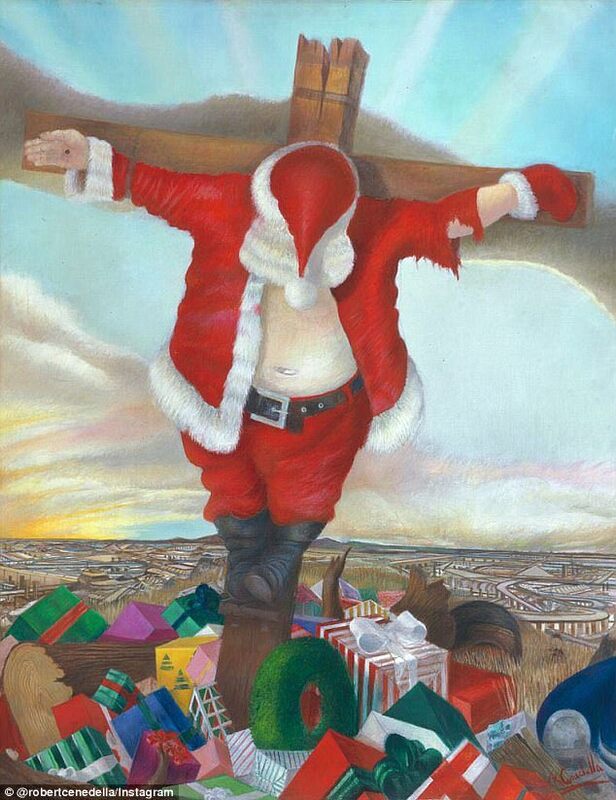 The painting, which shows St. Nick over a pile of presents and Christmas paraphanelia, had already been removed from a gallery in the area because of the number of complaints it had received. But for those looking to attend Midnight Mass, the painting was far more than an eye sore. 'It's a disturbing image — that's the bottom line,' added Theresa Manly, 54, of Chapel Hill, NC. 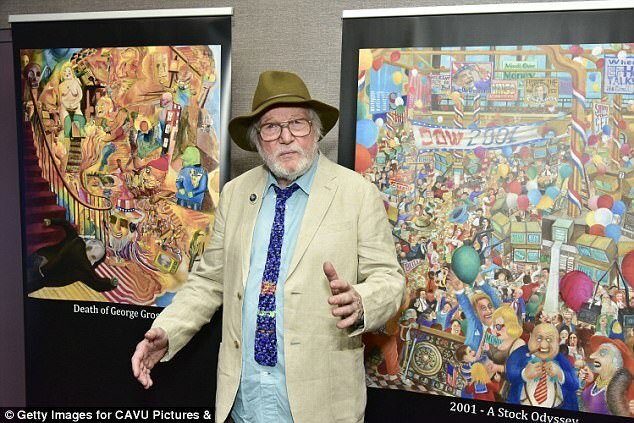 'The thing about St. Patricks is, I always thought if the painting was there on Christmas Eve and people saw this during the service they would realize what has happened — how commercialism has really taken over what's one of the more religious events in history,' he added. The painting had been hanging in the Central Park Fine Arts gallery this week but was yanked after only 48 hours. According to Page Six, Cenedella was said to have gotten clearance from his lawyers to bring the painting to the cathedral.